Brave and valiant, the Egyptian Warrior is here to protect the tomb! Launching arrows, he defends against enemies near and far. All his extra arrows are easily accessible in his saddle pack for continuous fire. 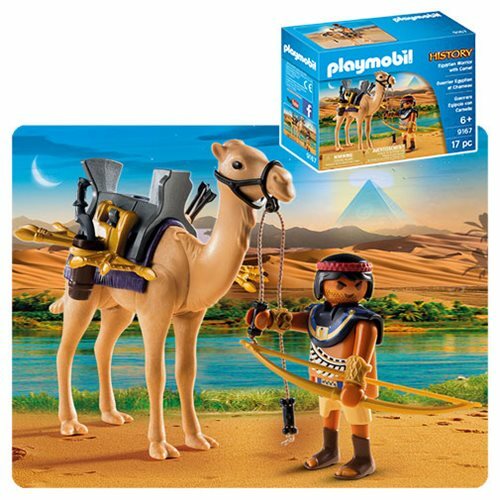 Set includes one figure, camel, bow, arrows, and other accessories. Recommended for ages six years and up.Warning. Choking Hazard. Small parts. Not for children under 3 years.